SKF – What a time to be a global trainee! Hi everyone, and a special warm greeting to all of you aspiring future trainees out there! 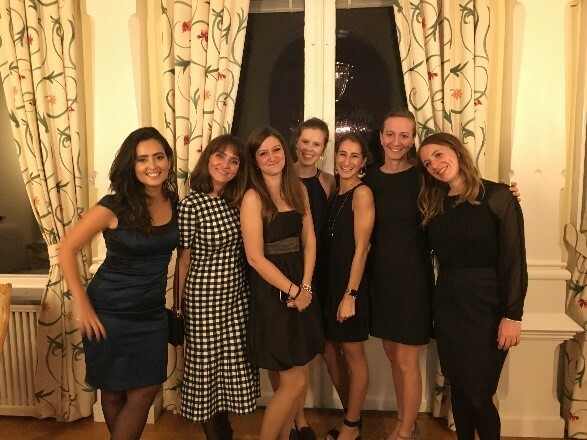 Welcome to another blogpost and “peek” into SKFs Global Trainee Programme. My name is Rasmus and I am one of the trainees currently in the midst of this exciting journey. If you still have not checked out what my fellow trainee-colleagues have written here, I highly recommend you to check that out too. I graduated from business school last spring and in late August I was one of 11 lucky to start the programme. Now six months have past since and wow- how time has flown! It feels like yesterday we gathered – from all over the world – at the global headquarters in Gothenburg for our trainee introduction month. After that, we all went back to our home country employer to begin the first of three rotations and I haven’t met many of my fellow trainees since October. Therefore, I’m looking very much forward to seeing them again in March as we gather before our second rotation. 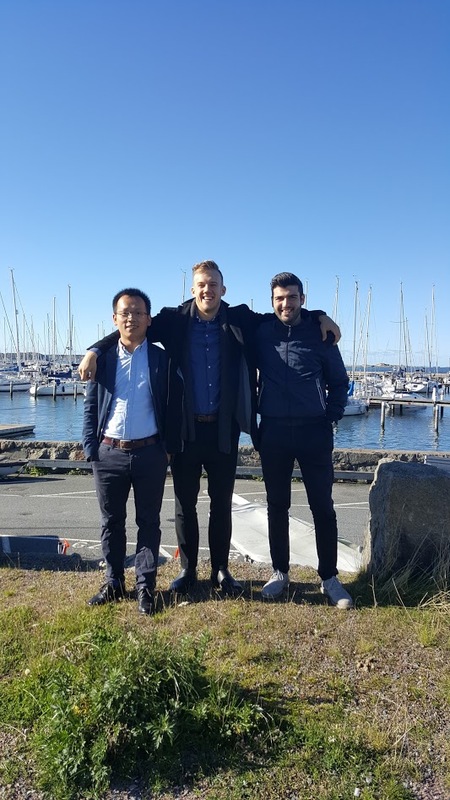 Global trainee colleagues – from the left: Li (China), Rasmus (Sweden) and Matteo (Italy). So, what have I been up to since then? Well, my home department within SKF is Group Central Finance & Business Transformation so intuitively that’s where I could have been over these first months. 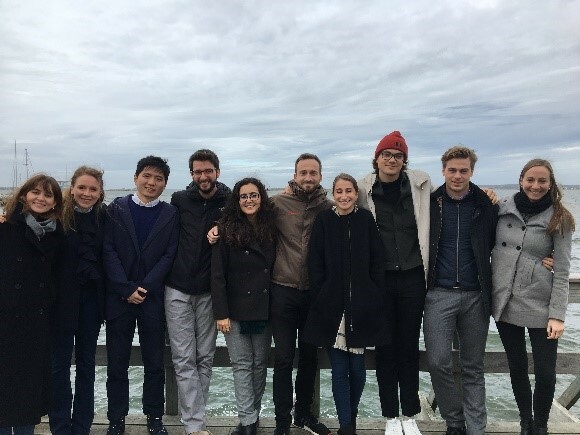 However, during my first rotation, I have been given the opportunity to tag along with one of the sales organizations – Industrial Sales Sweden. 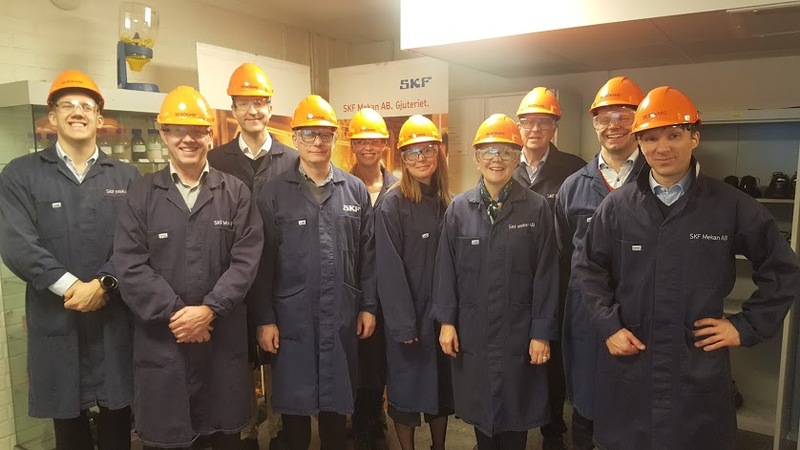 This has been a fantastic opportunity to see and learn about SKFs value propositions ‘in action’ and also how SKF, together with customers, work to make Swedish heavy industry more competitive in the age of globalization. Enjoying a nice coffee-break outside SKF Solution Factory in Gothenburg during my first week. With the Swedish sales unit, I have gotten the chance to work on multiple projects. 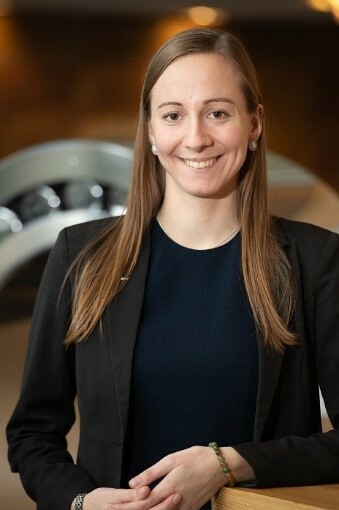 Since I have a background in finance, I have been able to help develop different kind of performance measurement reports – but also things completely out of my comfort zone – like working with and assisting our brilliant application engineers. I have also gotten the opportunity to visit customers, factories and other SKF locations in Sweden. Two months ago, I went with the Swedish management team to Katrineholm to visit our foundry there and in just about two weeks I will go on a combined trip to Lulea/Kiruna to meet with colleagues and customers way up in the Swedish north. What an amazing time this is to be a global trainee and to get the opportunity to meet and learn from so many people. No day is like the other! As a global trainee, I also have the chance to represent our programme at various occassions where we meet with students and aspiring future trainees. These meetings have been both fun and rewarding experiences – it is very enjoyable to talk about something that you really like with people who are genuinely interested and want to know more. 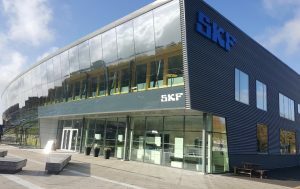 In November, I went to the Swedish Royal Institute of Technology in Stockholm (KTH) and talked to students about SKF and our trainee programme. Without a background in engineering I must admit I was a little nervous, but it turned out I had no reason to be. The students were very interested in what I had to say and gave me a warm receiving, just like I had been told by my fellow trainee colleagues who went to other student fairs over the last couple months. Next up for me is Germany. I will be moving there at the end of March for my second rotation over the spring/summer. 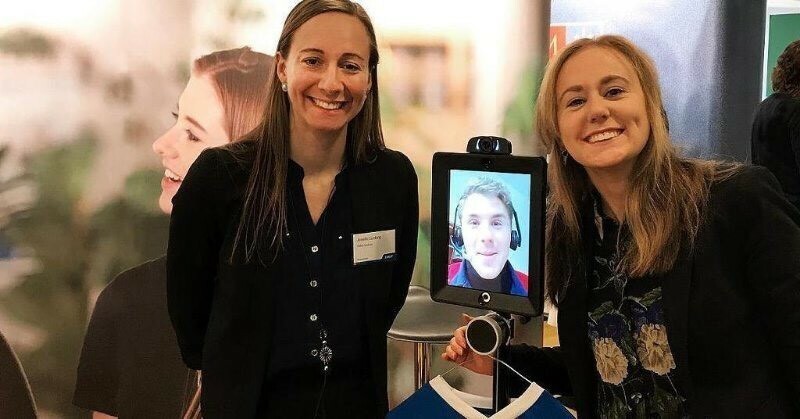 Although I have truly enjoyed my first six months here in Sweden, it will be very exciting to go “out in the world” and see what a Swedish, world-leading technology company looks like in a different cultural setting. During this time, I will get the chance to work up close and learn from multiple functions in the organization, including logistics, renewable energy and taper roller bearing strategy. I’ll say it again – what a great time to be a global trainee! Welcome to my trainee blog! In this blog I will write about my life as a trainee in the Telenor Global Trainee Program. 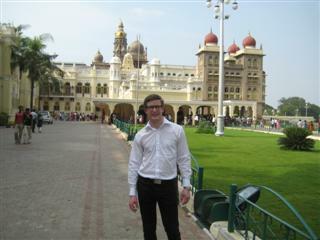 The trainee program began in September 2009 and right now I just started my second placement, which is in Bangalore, India. In India, Telenor launched its first commercial service in December 2009 under the brand Uninor. During the coming six months I will drive a project to launch postpaid services in the Indian state of Karnataka, in south west India. So who am I? Prior to becoming a trainee within the Telenor Group, I finished my Master’s degree in Electrical Engineering from Linköping University. 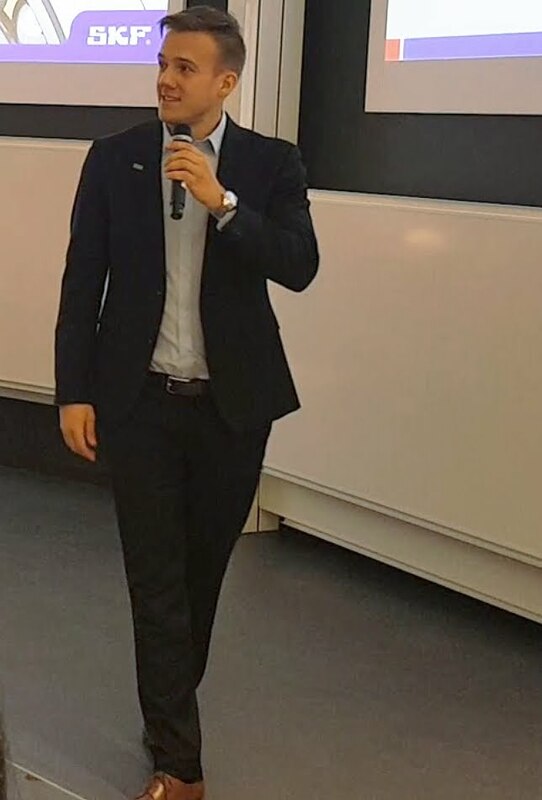 During my university studies I had been an exchange student to both RWTH Aachen, Germany, and to Stanford University, USA, and therefore I had my mind set on becoming a trainee as I wanted to yet increase my international experience. A combination of the company culture, values and vision together with the telecom industry itself and the setup of the trainee program, led me to join Telenor as a trainee. I started my first placement as a trainee in the Networks department of Telenor Sweden in Stockholm last September. During my seven months in Telenor Sweden I worked on three major projects. One of which was the establishment of a Network Performance Management function. My journey as a trainee will be 18 months long, hence after my placement in India I expect to join Telenor Sweden again, however within a new division. The point of the trainee program is the get to know the Telenor Group in as many aspects as possible. Therefore all of us fifteen trainees meet for seminars throughout the 18 months. So far we have been to Telenor Norway, Telenor Hungary and Telenor Serbia to get to know the different business units, to extend our knowledge of the telecom industry and to build our networks. For more info on the actual program itself, please visit: http://telenor.se/privat/telenor-karriar/trainee/globala-traineeprogrammet/index.html. My hope is that this blog will give you an insight to the life as a trainee. Don’t hesitate to ask questions; in a year you might become a global trainee in Telenor yourself, don’t miss that chance.